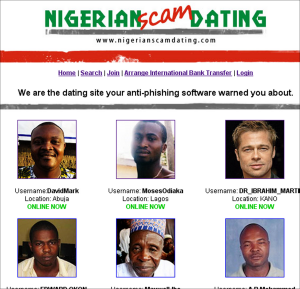 I laughed SO hard when I found this site about Nigerian Scam Dating, I just about piddled myself. It’s a parody on those Nigerian Scam emails we get with regularity. If you don’t get them, be glad. My experiences on this site have been so negative. 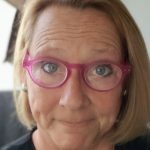 I have tried many other sites and they are always the same old thing–value for money, great people, excellent relationships formed, etc. I’ve been there done it and got the certificate really!! But this site? Well nothing compares! Excellent, well done and many thanks spot on!!! I’m absolutely loving it. You know I may have just found my Mr. Wrong. Thank you Nigerian Scam Dating for the rest of my miserable, penniless, broken life. If you need a good laugh about the online dating scene, check out the Nigerian Dating Scam site now.